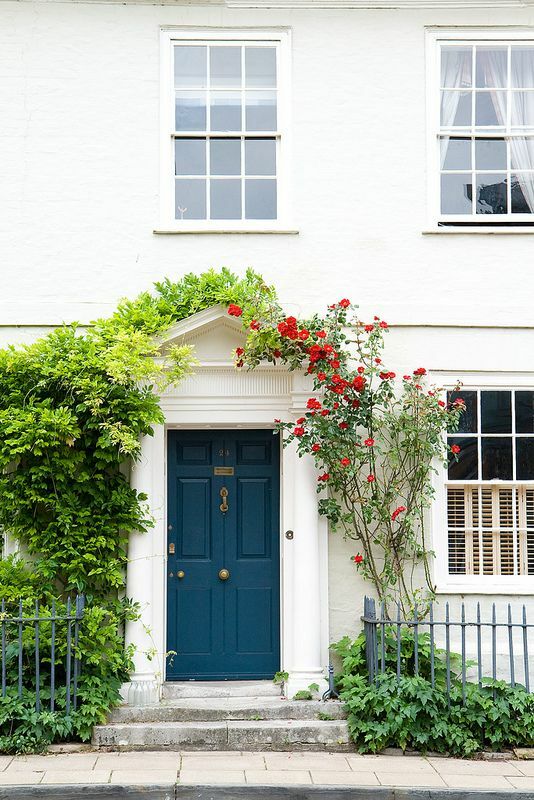 A colorful front door can be just what your home needs to get some curb appeal. 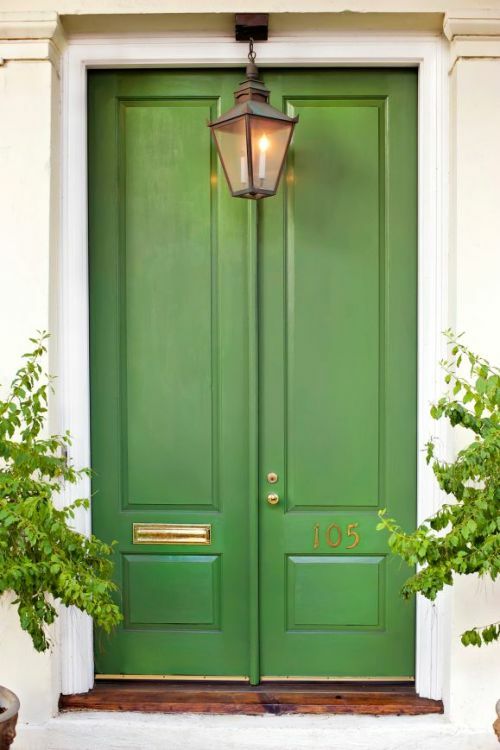 Changing the color of your front door from a dark and dreary color to a bit brighter hue can do wonders to a house. There are some colors you might want to avoid when trying to make a statement though. Think of your neighborhood and your house’s exterior colors and make sure it complements both. I have been loving the bright yellows and reds but don’t know if I will ever be brave enough to do those colors. I am seriously head over heels on this blue! Love it with the white!